By the time I had flown around for about 100 hours I had changed my mind on a few things about my panel. Nothing dramatic, and I was still very pleased with its overall design and ergonomics, but some trends were emerging. 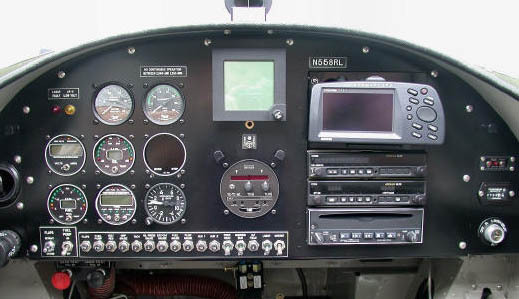 First off, I had built entertainment inputs into my audio system in both pilot and copilot positions into which I could plug a Discman or MP3 player. I did this even though at the time I placed a low priority on music while flying. My friend Bruce told me I'd end up listening to music all the time, but I wasn't convinced (maybe just thick-headed). So off I went into the world of flying my RV, and after the test period was over and I was getting more acclimated to the plane, I started plugging an MP3 player in. Quickly I began to enjoy it and record CDs just for flying. Just as quickly I grew frustrated with all the wires and paraphernalia in the cockpit as well as the volume problem created by plugging most line level devices into most intercoms (PS Engineering PM3000 in my case). Just then PS Engineering introduced their PCD7100 unit which incorporated their very latest intercom circuitry, Intellivox, with a CD player, and all in an avionics rack mountable configuration. Just what I needed. I had to have one, but of course there was no room in the panel for it. Relocate several breakers or switches presently below avionics stack to make room for above. Move avionics stack 3/4" to the left to allow it to extend higher. 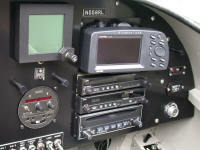 Install an avionics fuse block under the panel to eliminate the individual avionics breakers on the panel. Power this fuse block with an avionics master breaker/switch. 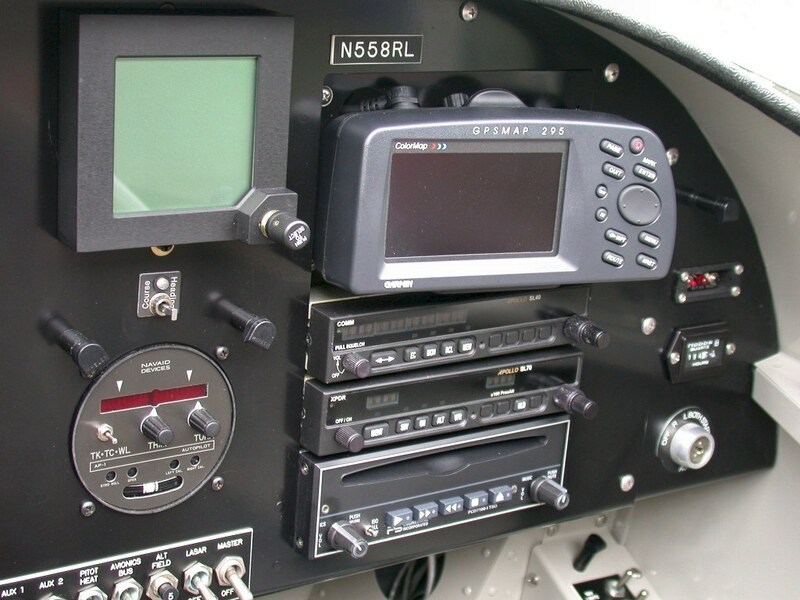 Locate the ADC (Air Data Computer) and Navaid in the direct center of panel as primary flight instruments, but install them in a manner that allows space for replacement of the ADC with a Dynon Development D10 or Blue Mountain Avionics EFIS/lite, and possible replacement of Navaid with an Stec System 30. Upgrade the Electronics International EAC-1 and cylinder switch to UBG-16 graphic engine analyzer (thereby eliminating switch). Upgrade Garmin Pilot III to Garmin 295 to get simultaneous map & HSI display since DG would be removed (color is nice also). 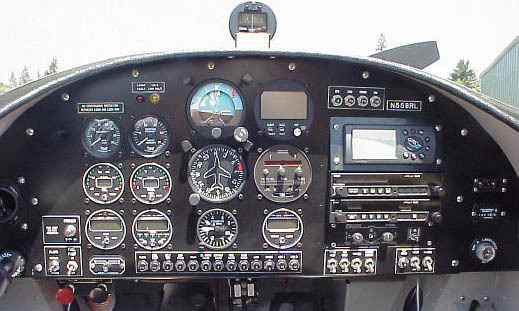 So, after flying the plane for only about six months that's exactly what I did: build a new panel. I took the plane out of service and dove in. My R.C.Allen gyros (artificial horizon and directional gyro) had gone up in price since I originally purchased them such that I was able to sell them for what I had paid for them. That money was used to pay for the engine monitor and intercom upgrades. The labor to build the new panel and re-install everything was the only real cost to this. 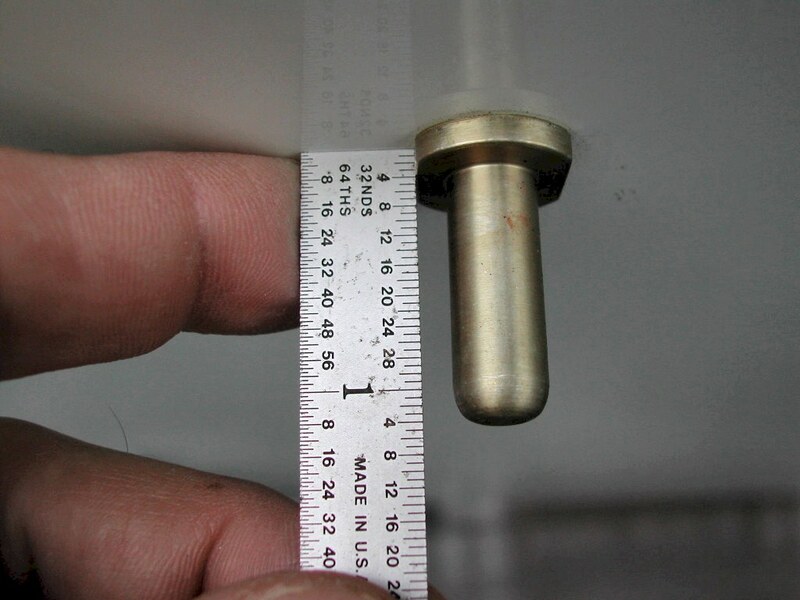 ADC outside air temperature probes: old version and new. Better, but there's still no need for this protuberance. 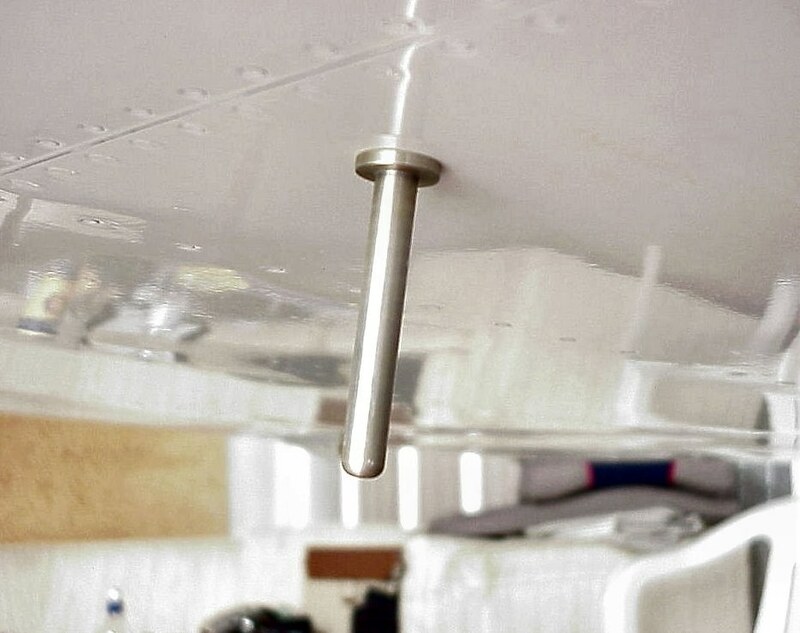 By the way, my recommendation is to mount whatever OAT sensor you will be using out on the wing so as to avoid any possible influence of the engine. Most builders who locate their sensor anywhere on the fuselage report readings of about 10 too high. The reason is that engine heat seeps out the edges of the cowl and streams back over the fuselage. Why risk inaccurate readings which then make TAS computations inaccurate? The new avionics fuse block, supplied by avionics master switch/breaker. This change saved space on my panel and allowed the avionics stack to extend lower in the new panel. Note that the fuses are arranged in the same position as the appliance they protect. I can therefore reach under the panel and remove the desired fuse if needed. Not being happy with the accuracy of the Van's tachometer and manifold pressure gauge, I upgraded them to Electronics International units. Now all my engine gauges match.